By now, you must have no longer been a stranger to ClickFunnels or Instapage. After all, they are among the most recommended tools in term of building high-quality assets for your business. They both come from credible companies with long-standing reputations. They both help you build impressive marketing assets without involving in complex technical matters. And they both receive positive feedback from many happy users. I know that there are a lot of differences between these two. Still, what seems to be missing in one can instantly be found in the other. Therefore, figuring out what to bring home is really troublesome. Obviously, you cannot take both. But then, how to discover the more superior one? To answer this tough question, I have decided to make a comparison between ClickFunnels and Instapage based on my experience with them. I hope it will be able to help you make up your mind. ClickFunnels is an advanced funnel builder that enables you to set up all types of funnels serving multiple purposes in the niche of time. And by funnel, I mean a complete funnel! Everything that contributes to a funnel’s success, such as landing page and opt-in form will be provided. The tool can also host live webinars and other events if you ask it to! Not only is ClickFunnels versatile, but it is also very powerful. The funnels it created have been bringing profits to millions of users’ doorstep. And this is how the tool managed to always stay on top when new funnel builders are released every year..
People know about Clickfunnels by Russell Brunson – One of the best marketing. He is an author of 2 best selling book Dotcom Secrets and Expert Secrets. 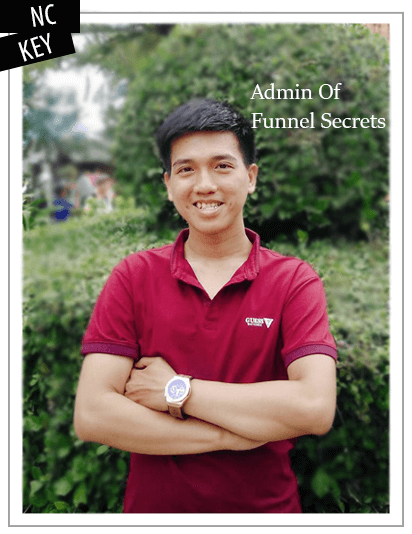 He help peoples build their business online through sales funnel process. In 2018, at 10X secrets cons he made 3 million dollars in sales in just 90 minutes. Watch video sales funnel strategy presentation here. Unlike ClickFunnels, Instapage only allows you to create landing pages. Still, it can produce hundreds of highly-converting landing page designs that promise to grab you as many customers as possible. Landing pages are Instapage’s most ultimate weapons, so the producers have worked very hard on them. So far, the tool has been stocked with hundreds of templates created by top designers available, as well as thousands of fonts and photos. The number is still growing with every upgrade. No information about Instapage vendor right now. They are here to help their customer scale post-click optimization. Instapage company focused on building a platform that bring value to people who want to increase their lead and sales online. Landing page is a great way to do it and they try to made it easier and useful. Just like ClickFunnels, Instapage also provides its users with two different plans. If you have decided to empower your business with all these advanced features, you can request a demo to see how they perform. On top of that, Instapage also comes along with a 14-day trial. Still, there is no refund policy. Białystok, Poland: Al. Piłsudskiego 6/1 Białystok, Poland. Timisoara, Romania: 27 Conac St. Timisoara, Romania. Warsaw, Poland: Prosta 70 Warsaw, Poland. I think that is pretty much everything. Personally, I prefer ClickFunnels more because it can perform many tasks than Instapage, helping its users save lots of time, budget, and effort. Do not get me wrong. I am not bashing anything. Instapage is pretty cool, but my job requires more than just landing pages. I think that if you need high-quality funnels, go with ClickFunnels. But if you work in an aspect that only demands landing pages, Instapage is definitely the ideal choice. Well, this is the end of the comparison between these awesome tools. Thank you for your attention!